Highlands, Islands and Ireland such as the following AB31 TO AB56, ON, BT, GY, HS, IM, IV, JE, KW, PA20 TO PA78 AND ON., PH, PO, ZE as well as any OFF SHORE ISLANDS. Lexus - IS I - MK I [1999-2005] Saloon - 1988ccm 155HP 114KW (Petrol). Lexus - IS I - MK I [1999-2005] Saloon - 1988ccm 155HP 114KW (Petrol). 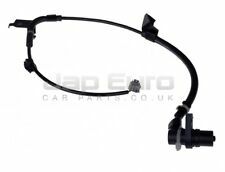 ABS SENSOR - FRONT RIGHT (JE40524) - QTY:1. Any claims after 24 hours will be dismissed for a claim. Failure to do so will delay your order. Lexus - GS - GRS19_, UZS19_, GWS19_ [2005-2011] Saloon - 2995ccm 249HP 183KW (Petrol). Lexus - GS - GRS19_, UZS19_, GWS19_ [2005-2011] Saloon - 4293ccm 283HP 208KW (Petrol). Lexus - IS - MK II [2005-2013] Saloon - 2231ccm 177HP 130KW (Diesel). Lexus - GS - GRS19_, UZS19_, GWS19_ [2005-2011] Saloon - 2995ccm 249HP 183KW (Petrol). Lexus - GS - GRS19_, UZS19_, GWS19_ [2005-2011] Saloon - 4293ccm 283HP 208KW (Petrol). Lexus - IS - MK II [2005-2013] Saloon - 2499ccm 208HP 153KW (Petrol). Lexus IS 2005 To 2010 ABS Pump Modulator (KIT). Lexus - IS I - MK I [1999-2005] Saloon - 1988ccm 155HP 114KW (Petrol). 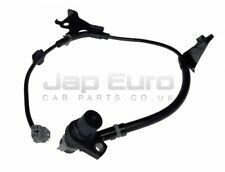 ABS SENSOR - FRONT LEFT (JE40523) - QTY:1. Any claims after 24 hours will be dismissed for a claim. REG NUMBER. Highlands, Islands and Ireland such as the following AB31 TO AB56, ON, BT, GY, HS, IM, IV, JE, KW, PA20 TO PA78 AND ON. Nombre de dents, anneau ABS 48. TRISCAN 37990848. TRISCAN 46854013401. TRISCAN 215-10104. TRISCAN 10-76244. TRISCAN 36976244. SERVICE DE SUPPORT. /// Numéro de comparaison. Un Bloc ABS pour Lexus IS220 D. - Lexus is220D. LEXUS LFA (LFA10_)2010/12-2012/11. LFA (LFA10_) 4.8 1LR-GUE 4805 412 10 Coupe 2010-2012. LFA (LFA10_) 4.8 1LR-GUE 4805 420 10 Coupe 2011-2012. LEXUS GS 300 2005 ONWARD /REAR LEFT. LEXUS GS 350 2008-2011/REAR LEFT. 2008 LEXUS IS250 IS350 FAISCEAU DE FILS DE CAPTEUR DE VITESSE ABS ARRIÈRE GAUCHE OEM119 # 13 A. Modified Item No. TRISCAN 37990848. TRISCAN 46854013401. TRISCAN 215-10104. TRISCAN 10-76244. TRISCAN 36976244. uns vor dem Verkauf geprüft. Alle gebrauchte Ersatzteile werden von. Zähnezahl ABS-Ring 48. 2012 LEXUS IS250 F-SPORT ANTI BLOCAGE FREIN ABS CONTRÔLE POMPE MODULE OEM 696 #37 A. NOUS AVONS LE DROIT D'ANNULER LA COMMANDE POUR N'IMPORTE QUELLE RAISON. Surface Finish Good. GS300 1993-1997. GS300 Mk2 1997-2005. 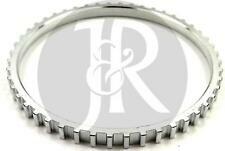 Type: ABS Ring. Ring Type: 48 Teeth. Searching by OE number and match the provided pictures too, that's the BEST way to IDENTIFY AND CONFIRM. SC300 1992-1997. Véhicule Lexus. Type IS II 250. Het wordt verkocht als een doe-het-zelf onderdeel. In geval van schade of opening van de goederen is enig recht op vergoeding van het onkosten uitgesloten. Если ваша контактная информация не обновляется, мы возможно не сможем своевременно сообщить вам о ходе отправки, или предоставить вам другую важную информацию. 2005 LEXUS GS300 ABS Pump/Modulator. MODEL GS300. MAKE LEXUS. ABS Unknown. FUEL TYPE Petrol. Autosave vehicle recyclers are a vehicle dismantlers located in the borough of bury in greater manchester. 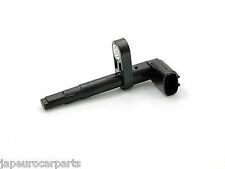 USINE DE DROITE 89542-0E020 2013 LEXUS RX350 AVANT ABS FREIN CAPTEUR OEM 192 #89. NOUS AVONS LE DROIT D'ANNULER LA COMMANDE POUR N'IMPORTE QUELLE RAISON. 2014 LEXUS IS250 IS200 NIVEAU RÉGLAGE DE L’APLOMB ARRIÈRE DU CAPTEUR GAUCHE SUSPENSION OEM 974 #39. CAPTEUR DE VITESSE 2012 LEXUS IS250 IS350 F-SPORT ARRIÈRE DROITE ABS FIL OEM 696 #46 A. NOUS AVONS LE DROIT D'ANNULER LA COMMANDE POUR N'IMPORTE QUELLE RAISON. Modified Item No. Véhicule Lexus. Type GS IS III RC. Het wordt verkocht als een doe-het-zelf onderdeel. In geval van schade of opening van de goederen is enig recht op vergoeding van het onkosten uitgesloten. Si vous ne trouvez pas le véhicule que vous cherchez dans la liste de véhicules affichée, cela vient du fait que tous les véhicules ne sont pas représentés. Lexus RX300 3.0lt petrol 10/2000 to 05/2008. RX300 All Engines 2003- 2008 Front Models. 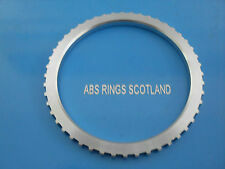 Type: ABS Ring. Ring Type: 48t. Searching by OE number and match the provided pictures too, that's the BEST way to IDENTIFY AND CONFIRM. 2006 LEXUS GS SERIES ABS Pump/Modulator. This item has been removed from a: 2006 LEXUS GS SERIES. Make: LEXUS. Model: GS SERIES. Part Type: ABS Pump/Modulator. Year: 2006. Fuel type: Petrol. In the event that a part is supplied and proven to be incorrect or faulty, Hills Motors must be notified within 48 hours. LEXUS LFA (LFA10_)2010/12-2012/11. LFA (LFA10_) 4.8 1LR-GUE 4805 412 10 Coupe 2010-2012. LFA (LFA10_) 4.8 1LR-GUE 4805 420 10 Coupe 2011-2012. LEXUS GS 300 2005 ONWARD /REAR RIGHT. LEXUS GS 350 2008-2011/REAR RIGHT. Fits to : Toyota Landcruiser/ Prado Import | All Engines | 2002 onwards | Front Right. fits to :Toyota Land Cruiser 3.0TD - D4D / 4.0Petrol (Year 09/2002 - 12/2009). Fits to : Toyota Land Cruiser 3.0TD-D4D ( KDJ120-LWB / KDJ125-SWB ) (Year 09/2002-12/2009). Véhicule Lexus. Type IS II 250. Het wordt verkocht als een doe-het-zelf onderdeel. In geval van schade of opening van de goederen is enig recht op vergoeding van het onkosten uitgesloten. Si vous ne trouvez pas le véhicule que vous cherchez dans la liste de véhicules affichée, cela vient du fait que tous les véhicules ne sont pas représentés. 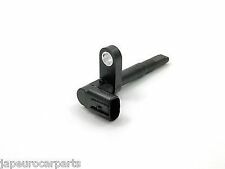 2007 LEXUS IS250 POMPE DE FREIN ABS ANTI FABRIQUE DE VERROUILLAGE CONTRÔLE MODULE OEM 345 #27 A. NOUS AVONS LE DROIT D'ANNULER LA COMMANDE SI QUOI QUE CE SOIT. TO FIT THE FOLLOWING MODELS All of our parts exceed specifications required for sale in the UK and with certificate ISO/TS16949: 2009. Our products had passed ISO9001-2008, TS16949 AND TUV Check. Always match the manufacture (OE) numbers to our lists of numbers. ABS RELUCTOR RING TO FIT THE FOLLOWING AND HAS 48 TEETH. FITTING POSITION:REAR RIGHT (O/S,DRIVER SIDE). TO FIT THE FOLLOWING MODELS Always match the manufacture (OE) numbers to our lists of numbers. All of our parts exceed specifications required for sale in the UK and with certificate ISO/TS16949: 2009. Type IS200. Véhicule Lexus. Si vous ne trouvez pas le véhicule que vous cherchez dans la liste de véhicules affichée, cela vient du fait que tous les véhicules ne sont pas représentés. Année de construction 2004. Lexus RX 300 330 350 400 2003-08. Turn off abs light, abs light stays on, how to turn off abs light. Is yourABS warning light on ?. This could indicate afaulty ABS sensor(s). Front RightABS Sensor. Fits Front Right. Manufacturer Part Number 44540-0E102 / 445400E102 / 44540 0E102. 2013 LEXUS RX350 ANTI POMPE DE FREIN DE BLOCAGE DE CONTRÔLE MODULE 44540-0E102 OEM 532 #02 A. NOUS AVONS LE DROIT D'ANNULER LA COMMANDE POUR N'IMPORTE QUELLE RAISON. 1997 LEXUS GS SERIES ABS Pump/Modulator. This item has been removed from a: 1997 LEXUS GS SERIES. Make: LEXUS. Model: GS SERIES. Part Type: ABS Pump/Modulator. Year: 1997. Fuel type: Petrol. In the event that a part is supplied and proven to be incorrect or faulty, Hills Motors must be notified within 48 hours. REMOVED FROM: 2007 LEXUS IS 220D 4DR SALOON MANUAL DRIVE 177HP. IF YOU ARE ORDERING FROM THE HIGHLANDS, OR OTHER ISLANDS IN THE BRITISH ISLES AND THE ITEM IS.